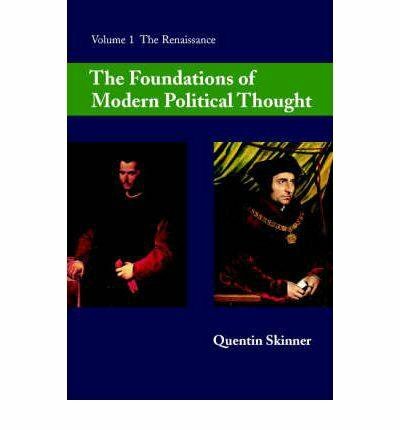 One of England's most distinguished scholars, Quentin Skinner is a leading historian of political thought and an outstanding advocate of a contemporary republican viewpoint. 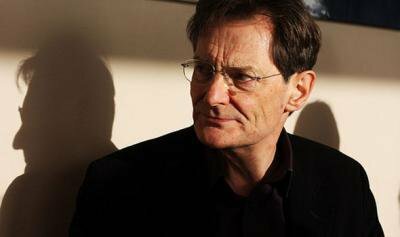 This interview with Richard Marshall of 3:AM sets out an accessible overview of a lifetime of work. We are grateful to 3:AM for letting us republish it as part of OurKingdom's Democractic Wealth. We have added at the end two additional openDemocracy/OurKingdom questions about corporate power, surveillance and freedom. Skinner's answer with respect to surveillance is a strong, clear statement of how it is a threat to liberty. This is especially relevant to current affairs given the superficiality of official and in particular British media responses to the Snowden revelations published by the Guardian's Glenn Greenwald about the programmes of total surveillance being attempted by US and UK secret services. 3:AM: You are known as a leading historian of political history and in particular the formation of ideas around human liberty. One of the key ideas you’ve written about is what you label ‘neo-Roman’ liberty.‘ This began back in Ancient Rome didn’t it, where freedom was contrasted with slavery, wasn’t it? Can you tell us what its distinctive traits are? 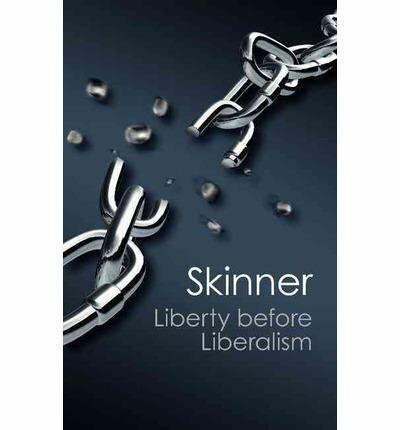 Quentin Skinner: The vision of personal freedom that interests me is articulated most clearly in the Digest of Roman Law, which is why I have wanted to describe its later manifestations as examples of ‘neo-Roman’ liberty. The fundamental distinction drawn at the outset of the Digest is between the liber homo, the free person, and the servus or slave. The law needed to begin with this contrast because law applies only to free persons, not to slaves. So one crucial question was: what makes a slave? The answer given in the legal texts is that a slave is someone who is in potestate, in the power of a master. The contrast is with someone who is sui iuris, able to act in their own right. Long before these argument were summarised in the legal texts, they had been elaborated by a number of Roman moralists and historians, above all Sallust, Livy and Tacitus. These writers were interested in the broader question of what it means to say of individuals – or even of whole bodies of people – that they have been made to live in the manner of slaves. The answer they give is that, if you are subject to the arbitrary will of anyone else, such that you are dependent on their mere goodwill, then you may be said to be living in servitude, however elevated may be your position in society. So, for example, Tacitus speaks of the servitude of the entire senatorial class under the Emperor Tiberius, so wholly subject were they to his lethal caprice. It developed into a formidable political idea during the Italian Renaissance, didn’t it? Was Machiavelli influenced by it, either negatively or positively? Yes, this vision of freedom is the one that underlies Renaissance Italian discussions about the vivere libero, that is, the sort of constitution that is needed to uphold a free way of life. Machiavelli was undoubtedly deeply influenced by these ideas. You ask if this influence was positive. If by that you mean to ask if he agreed with the neo-Roman analysis, I would say that he emphatically endorsed it. Machiavelli’s main engagement with the neo-Roman view of freedom can be found in his Discorsi, completed around 1520. These ‘discourses’ take the form of a commentary on the opening ten books of Livy’s history of Rome.In his opening two book Livy had contrasted the lack of freedom suffered by Rome under her early kings with the civitas libera, the free state, that the people were able to set up with elected consuls in place of hereditary kings after the expulsion of the Tarquins. Machiavelli fully endorses Livy’s assumption that the fundamental question to ask, when thinking about political liberty, is about the distinction between freedom and servitude, and he further agrees that the arbitrary power wielded by the early kings of Rome left the citizen body living as slaves. The term servitù is always the one he uses when speaking of how an individual or a whole people living subject to the discretionary power of someone else will suffer loss of liberty, whether the power be internal to the polity (in the form of a prince or ruling oligarchy wielding arbitrary control) or external (in the form of a colonising power). Was it influential in the development out of Lutheran and Calvinist and other religious groups of that time of the right to protest, resist and revolt? The right of resistance developed in the course of Reformation struggles was chiefly based on classical ideas, but mainly on the Roman law maxim that vim vi licet repellere, that it is always lawful to resist unjust force with force. The contrast between freedom and servitude is certainly important to the leading Reformation thinkers, including both Luther and Calvin. But this is mainly because they were predestinarians, and rejected the very idea of human freedom in the name of the claim that we are all slaves to sin, and are freed only by divine grace. How was it developed in Britain? Was it the sort idea of Rome Shakespeare would have known about and presented? Shakespeare has much to say in his Roman plays, and especially in Julius Caesar, about the allegation that, if a polity falls under the will of a single person it becomes enslaved, just as individuals becomes enslaved if they become subject to a master. When Brutus addresses the plebeians in Act III, his justification for assassinating Caesar is that his death was necessary to keep Rome free and prevent her citizens from becoming slaves. It became prominent during the English civil war of the 1640s, didn’t it? Didn’t Milton develop his ideas around the ideas of a politics against slavery? Yes, John Milton offers a purely neo-Roman view of freedom and free states in both the major political tracts he published after the execution of Charles I. In his Tenure of Kings and Magistrates (1649) he argues that, unless the people are able to govern themselves, then they will live as slaves, since they will be living under the will of someone else. On the eve of the Restoration he published The Ready and Easy Way to Establish a Free Commonwealth (1660), in which he presents monarchy as an enslaving form of government. His argument is that kings always enjoy prerogative powers, and that such powers are by definition discretionary. But to live subject to the mere discretion of another person is what it means to live as a slave. So he exhorts the people, in both these texts, to retain political power in their own hands as the only means to uphold their political liberty. 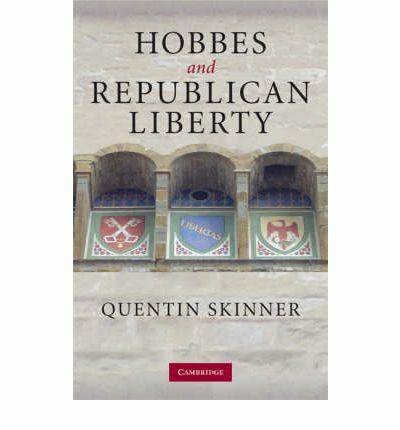 Hobbes opposed the Roman republicanism view of liberty, didn’t he? What different view of liberty did he present? Was he drawing a different tradition or was he developing his ideas through his polemics, kind of making it up from whatever argument carried the day? Hobbes changes his mind about the nature of political liberty. When he circulated his first political treatise, The Elements of Law, in 1640, he still accepted the classical view that individuals are unfree if they are dependent on the will of someone else. He argued, however, that in order to assure peace and prevent a return to the state of nature – which he equates with a state of war – it is essential to set up an absolute form of sovereign authority to which we submit ourselves. But he agreed that, if you submit yourself to the will of such a sovereign, you thereby forfeit your liberty, which consists in the absence of any such submission and dependence. His answer at this stage is that, if what you want is peace, then you will have to give up liberty. By the time he published his next political work, his De cive of 1642, he had changed his mind. He now argues that, in establishing sovereign power, we do not have to give up our freedom, and he makes this point by way of arguing that everyone has misunderstood the true character of personal liberty. Personal freedom, he now insists, consists not in being independent of the will of others, but merely in not being obstructed from acting as we will. Freedom is not absence of dependence; it is simply absence of external impediments to motion. This view is grounded in Hobbes’s basic belief that there is nothing real in the world except matter in motion. Given this ontology, he is committed to the view that the only sense we can make of the idea of human liberty is to think of it as the freedom of an object to move. On this account, you are unfree if your movements are impeded by external impediments, but free if you are able to move without being obstructed. So Hobbes thought that even under the most coercive force of law left people free. How does he make this argument as it doesn’t seem on the face of it very convincing? QS: Hobbes’s argument about law and liberty, which he develops most fully in chapter 21 of Leviathan – which is entitled ‘Of the liberty of subjects’ – depends on his view about how laws operate. He maintains – and this is surely plausible – that the main reason why people obey the law is that they are more frightened of the consequences of disobedience. But as he now argues, fear does not take away freedom. Freedom, according to Hobbes’s new definition, is taken away only by external and physical impediments to motion. But fear is not an external impediment. On the contrary, fear is a motivating force, and one that generally drives us to obey. So he insists that, when we obey the law, we always do so freely, and we are always free to disobey. I agree that at first sight the argument does not look convincing, but if you recall how Hobbes defines human freedom then you can see that it is at least wholly consistent. Why was Hobbes so against the Roman idea? Was it that he wanted peace at any price, or didn’t he like the parliamentarians personally? One can only speculate, but I have the impression that Hobbes was worried about the extent of the demands that might be made in the name of liberty if the neo-Roman theory were left unchallenged. It is an obvious and crucial implication of the neo-Roman theory that you can be unfree even in the absence of any coercive threat. This is because, if you are living in dependence on the goodwill of someone else, you will be sure to self-censor in the hope of keeping out of trouble. But this will have the effect of limiting your own liberty. This limitation, however, will arise merely from your standing in relation to another person, not necessarily from any act of coercion on their part. To secure your liberty, then, what needs to be secured is your freedom from any such dependence. But that is to ask a lot of the state, and Hobbes seems to have felt that the demand was an excessive one. A further and connected reason for Hobbes’ hostility was I think his strong desire to vindicate, against the republicans of his age, the validity of absolute monarchy. As we’ve seen, in the hands of a writer like Milton monarchy is stigmatized as an inevitable source of enslavement. Hobbes wants to defend monarchy as a lawful form of government, so he needs to reject the view that he had previously espoused, namely that dependence in itself takes away freedom. So after this period, what happened to the two species of liberty? Locke presumably was more Hobbesian and Rousseau more Roman? Hobbes’s view was not immediately taken up in Anglophone political discourse. On the contrary, there was something of a reaction against it. Locke continues to insist that arbitrary power takes away freedom. This claim is indeed the main argument out of which he develops his views about the right to resist tyranny. Hobbes’ rival claim that freedom consists not in absence of dependence, but merely in absence of impediments, only became orthodox in English political theory with the rise of classical utilitarianism in the eighteenth century. Hume in several of his essays ridicules the notion that dependence in itself takes away liberty, and with Bentham and Paley at the end of the century you find a clear articulation of the view that we are free provided that no one is interfering with the exercise of our powers. By contrast, Rousseau is indeed, as you say, the leading writer who continues to insist on a Roman view of liberty. For Rousseau you can never claim to be free if you are subject to the will of anyone else. Rousseau is obsessed with the importance of maintaining one’s independence and evading the servility which he saw all around him. And would Marx have been aware of this distinction? Would he, or did he, side with Hobbes or the Roman idea? That is a question which would bear a great deal more investigation than it has received. I am very stuck by the extent to which Marx deploys, in his own way, a neo-Roman political vocabulary. He talks about wage slaves, and he talks about the dictatorship of the proletariat. He insists that, if you are free only to sell your labour, then you are not free at all. He stigmatises capitalism as a form of servitude. These are all recognizably neo-Roman moral commitments. This distinction seems a crucial one and might explain why republicanism can seem to accommodate such a wide range of political views, from extreme authoritarianism in the name of liberty to collectivism? Is our historical blindness an impediment to our ability to understand many of the cross currents of our contemporary situation? I guess the issue here is the role of history and having an historical perspective. I do not myself associate neo-Roman theories with what you call authoritarianism in the name of liberty. Such authoritarianism generally springs, it seems to me, from the assumption that there are certain true ends for mankind, and that liberty consists in following them. An example would be the Aristotelian belief that our freedom is best realised in serving the community. Another example would be the rival Christian belief that we attain true liberty (‘Christian freedom’) only in serving God. These paradoxical arguments – in which freedom is connected with service – differ from the core neo-Roman ideal that freedom consists in independence from the arbitrary will of others. The desire to be free of such discretionary power does not have to be held in virtue of the belief that we ought then to proceed to use our independence to act in specific ways. 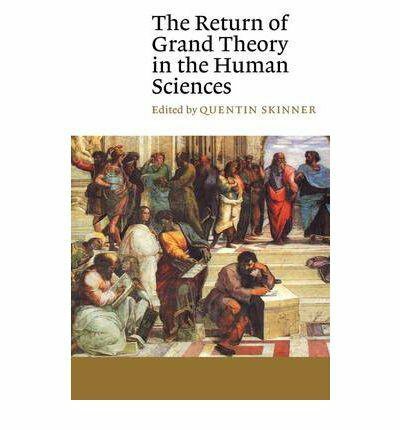 The neo-Roman theory is not interested in telling you how you should make use of your liberty; it merely wants you to espouse a particular view of how liberty should be understood. I strongly agree with you when you speak about our current historical blindness. I think that we have closed ourselves off from understanding a lot of our history by failing to see that, until relatively recently, the concept of liberty was generally understood in a way that we now find unfamiliar and even hard to grasp. We tend to think of freedom essentially as a predicate of actions. But the earlier tradition took freedom essentially to be the name of a status, that of a free person by contrast with a slave. Let me end by following out your last train of thought. I believe that there is certainly a sense in which we fail to understand some features of our contemporary situation through not having a grasp on the neo-Roman way of thinking about liberty. For a neo-Roman thinker, many of the situations that in a market society are regarded as free – even as paradigmatically free – would appear as examples of servitude. The predicament of de-unionised labour, of those who live in conditions of economic dependence, of those in particular who live in dependence on violent partners, and of entire citizen-bodies whose representative assemblies have lost power to executives – all these would appear to a neo-Roman theorist to be examples of being made to live like slaves. openDemocracy / 3:AM: You list economic dependence of non-unionised labour, the role of tryannical violence in the family and the way parliaments are suborned by non-elected executive power, but you don’t list the rise of corporate power as a threat to liberty. Do you see the free market as essential to liberty in the full sense you advocate? The power of corporations seems to me capable of posing a serious threat to liberty, in particular through their capacity to put pressure on states, especially developing states. Suppose a corporation wants to invest in a country but finds that its environmental laws, or its labour regulations, are inconveniently demanding. It can easily put pressure on the relevant government, especially in the case of developing states, to give it a break from these obligations. There need be no threat to refuse investment unless these special privileges are granted. It may be enough that the government is aware that the investment could be lost unless special privileges are granted for it to agree to grant those privileges. The government is placed, in other words, under an obligation to behave in a servile way that may also be undemocratic in that various laws that have been agreed by the people’s representatives may have to be set aside. Nor is this only a problem with respect to the power of multi-national corporations in their dealings with developing states. Think of the tax breaks that multi-nationals are given in this country, and the recent revelation that some are allowed to get away with paying virtually no corporate tax at all. Recent revelations make it clear that the state intelligence services, linked up with specialist corporations, either have or are certainly attempting to ‘Master the internet’ and map and record all our metadata, tracing every electronic relationship, web search, Skype conversation and text message that we make. The general response across the British media, from the BBC to the Telegraph and the Murdoch papers, is ‘What did you expect? Everyone does it? What have you got to hide?’. How do your arguments impact on the issue of surveillance? When William Hague told the House of Commons that no one has anything to fear so long as they have done nothing wrong he was missing an absolutely crucial point about freedom. To be free we not only need to have no fear of interference but no fear that there could be interference. But that latter assurance is precisely what cannot be given if our actions are under surveillance. So long as surveillance is going on, we always could have our freedom of action limited if someone chose to limit it. The fact that they may not make that choice does not make us any less free, because we are not free from surveillance and the possible uses that can be made of it. Only when we are free from such possible invasions of our rights are we free; and this freedom can be guaranteed only where there is no surveillance. I think it very important that the mere fact of there being surveillance takes away liberty. The response of those who are worried about surveillance has so far been too much couched, it seems to me, in terms of the violation of the right to privacy. Of course it’s true that my privacy has been violated if someone is reading my emails without my knowledge. But my point is that my liberty is also being violated, and not merely by the fact that someone is reading my emails but also by the fact that someone has the power to do so should they choose. We have to insist that this in itself takes away liberty because it leaves us at the mercy of arbitrary power. It’s no use those who have possession of this power promising that they won’t necessarily use it, or will use it only for the common good. What is offensive to liberty is the very existence of such arbitrary power. The situation is made much worse once you come to know — as all of us now know — that we are in fact subject to surveillance. For now there is a danger that we may start to self-censor in the face of the known fact that we may be being scrutinised by powerful and potentially hostile forces. The problem is not that we know that something will happen to us if we say certain things. It’s that we don’t know what may happen to us. Perhaps nothing will happen. But we don’t know, and are therefore all too likely to keep quiet, or to self-censor. But these are infringements of liberty even according to the liberal account. Surely the liberal and the republican can agree that, if the structures of power are such that I feel obliged to limit my own freedom of expression, then my liberty has to that degree been undermined. It may of course be objected that liberty is only one value, and that liberty may sometimes have to be compromised in the name of other and supposedly higher values, such as security. One answer is that we are perhaps too willing at the moment to allow questions about security to outweigh questions about liberty. But even if this is not so, the current situation seems to me untenable in a democratic society. Let us agree that it is one of the undoubted obligations of the state to maintain security. Let us also concede that this may require some level of surveillance. But if the resulting powers are to be democratically exercised, then several constraints not currently in place will have to be imposed. People must know in advance exactly what activities are subject to surveillance, and why, and what penalties will potentially be incurred. And the use of surveillance will have to be undertaken by bodies that have to respond to Parliament, not merely to the Executive, which we often have no good reason to trust.